Nagi Hassan: Allah has chosen us for a task far greater than Jaffa's freedom. We are the true soldiers of Islam. Our destiny is to deliver the vengeance of Allah into the belly of the infidel. Ahmed: This has nothing to do with Islam. This is not Allah's will. You're blinded by hatred. Q: What is Executive Decision about? Q: So what happens to the pilot of the Stealth plane after he ejects? 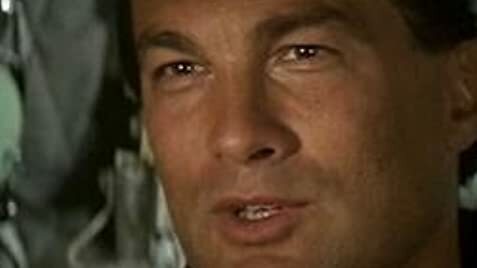 Q: Is it true that Steven Seagal held up production because he didn't want to film his death scene? 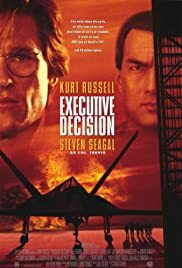 A fun, tense, and exciting action/thriller with an excellent ensemble cast, headed by Kurt Russell and including Halle Berry, David Suchet, and John Leguizamo. Even Steven Seagal does a creditable job, mainly because this isn't a "Steven Seagal movie." His supporting role permits him to do what he does best (which isn't acting). He doesn't have to pretend to be witty, there's none of that awful smirking he does in a vain attempt to show emotion, the camera doesn't caress his body, and there's not one speech about how gol-dang *good* his character is. He even manages to enunciate his lines clearly! The plot might have seemed a little far-fetched when the movie was released, but not anymore. I'm not even much of an action film fan, but this one is really a lot of fun.